(Engineering), Assistant Chief (Engineering) and Junior Hindi Translator for deputation/ short-term contract basis. Experienced /officers on job are advised to send application through offline only. Application form can be sent by all the responsible and intelligent job seekers after getting it from the official site of this department. Competitors will be recruited on the basis of performance in skills test / interview. So guy you must learn to appear in selection rounds. 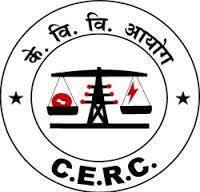 Remaining highlights having proper relation with CERC Recruitment are shown for all the visitors of this web page. Capable aspirants must send filled application to the given postal address not later than last date with their all credentials Xerox copies to grab this opportunity of careers. Jobs in the capital region of India that is Delhi will be here for appliers but to get this update of recruitment they must go to visit the official website that is www.cercind.gov.in. Skilled candidates can also find other state of sector jobs from this portal by visiting it on regular basis. Educational Qualification: Job seekers must be Officers of Central/State Governments, Public Sector Undertakings, Autonomous Bodies, etc. Selection Process: Appliers will be selected on the basis of their performance in personal interview. To apply go to the official website that is www.cercind.gov.in. Now enter on link for above posts to read details. Reminder: Before appear for CERC Vacancies, candidates are advised to open and visit following link.